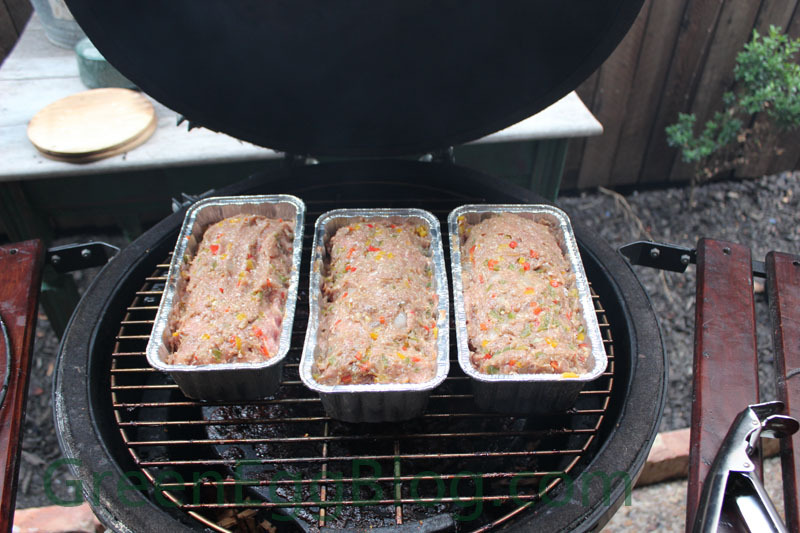 I’m happy to report that the first attempt at turkey meatloafs on the Big Green Egg went extremely well – with some improvisation of course. 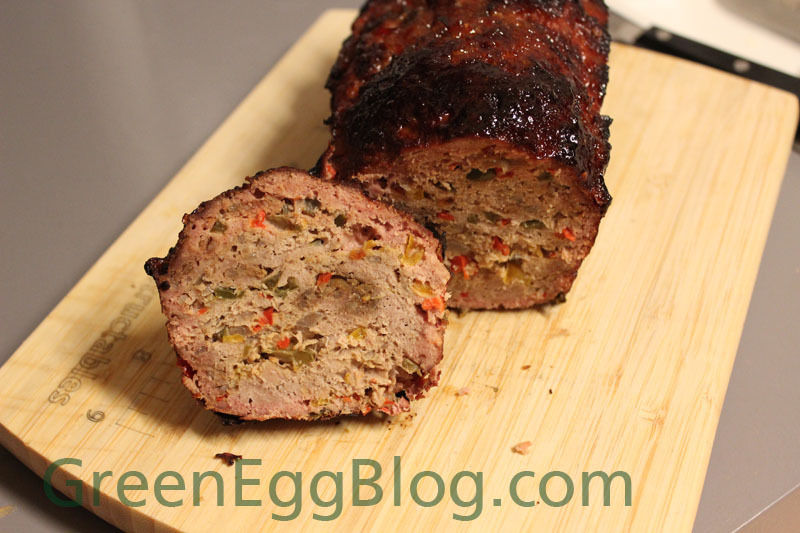 Contrary to the previous post on the recipe that I thought I was going to use, I went off the rails and created a 4 pepper Turkey Meatloaf that was delicious! 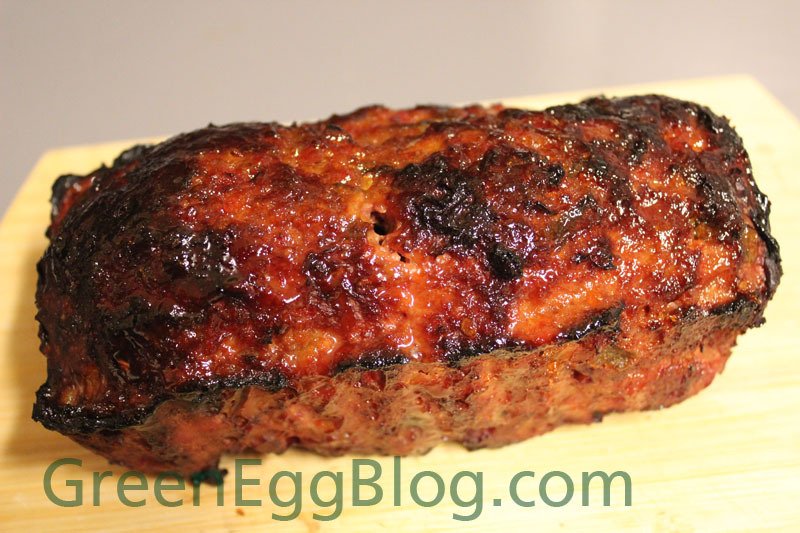 The wife and I are trying to eat healthier and instead of buying the $4.99+ My Fit Food meals for breakfast, lunch and dinner, I’ve been on a mission to create our meals myself and still be healthy – so that gives you and idea on why this meatloaf was even thought of. 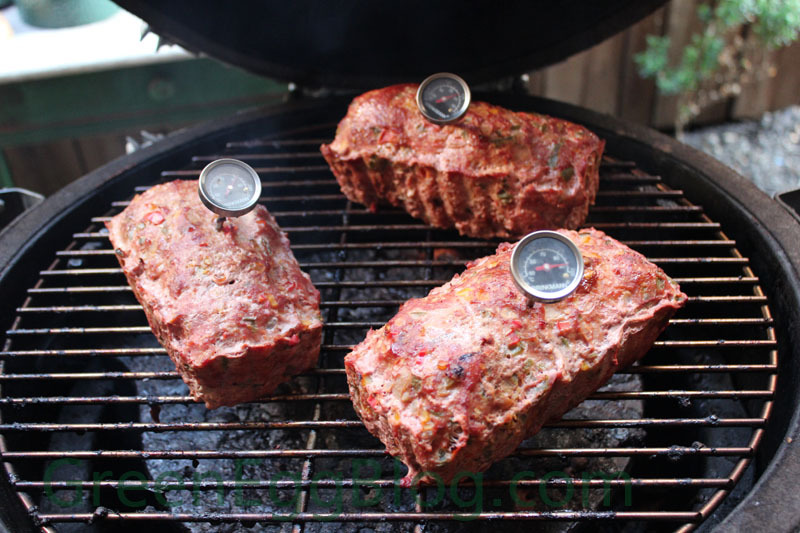 We’re going to be eating this for lunch for the week, with some quinoa and assorted veggies. 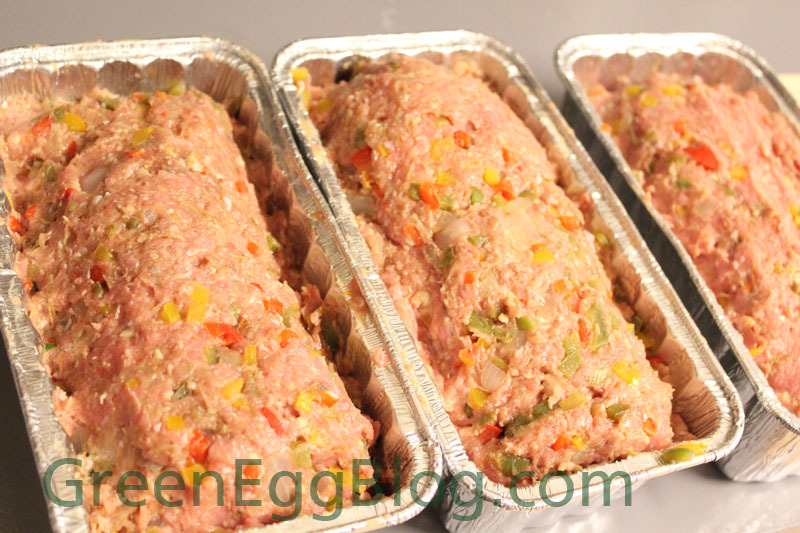 Once the veggies are cool – mix them with the ground turkey meat in a large bowl – then add the egg whites and the remaining seasonings. That’s it – let cool and then slice and enjoy! I tried this today. 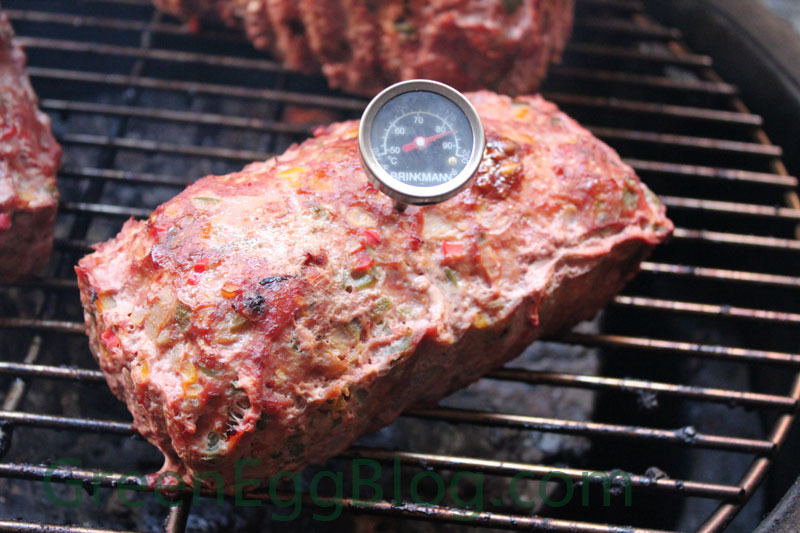 I had the egg at 225-250 and after about a hour and a half the meatloaf was only at 130 degrees. If finally got up to 142 but stayed there for at least 2 hours until we left for a basketball game. When we came back, 3 hours later the temp was 149 degrees and teh egg temp was still at 250. it was 10 pm and no one wanted to wait anymore so i just closed it down and through it away. Is there something I missed? How big were your loafs? Were they in pans the entire time?